As an outsider looking in, the village of Ban Muang Pam seems idyllic. Perched high up on a hillside in picturesque Mae Hong Son province, this appears to be a location far removed from the stresses of modern-day life. 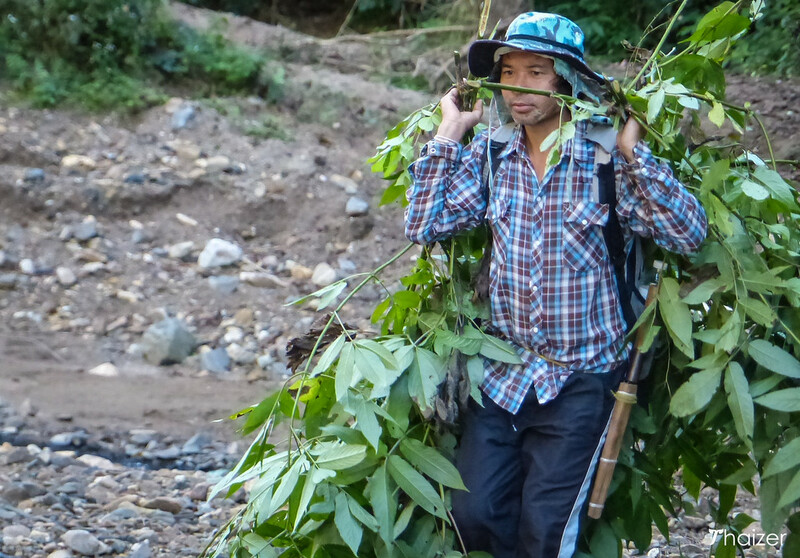 But the Karen hill-tribe village is facing a battle for survival with the traditional way of life here under threat. The isolation of the village in this scenic part of north-west Thailand is part of the charm. But if you are a young person growing up in one of these remote hill-tribe villages, you face a stark choice when it comes to finding work and earning a living. Many of the younger generation make the choice to move away to the city in search of more opportunities. But there is an alternative. An alternative which is slowly but surely turning the tide and encouraging young people in local communities like Bang Muang Pam that there is a positive future in the village. And it’s thanks to Community Based Tourism (CBT) initiatives. Community Based Tourism (CBT) is a form of responsible tourism. CBT initiatives are owned and managed by the community, for the community. All CBT projects have at their core the need for cultural, environmental and social sustainability. 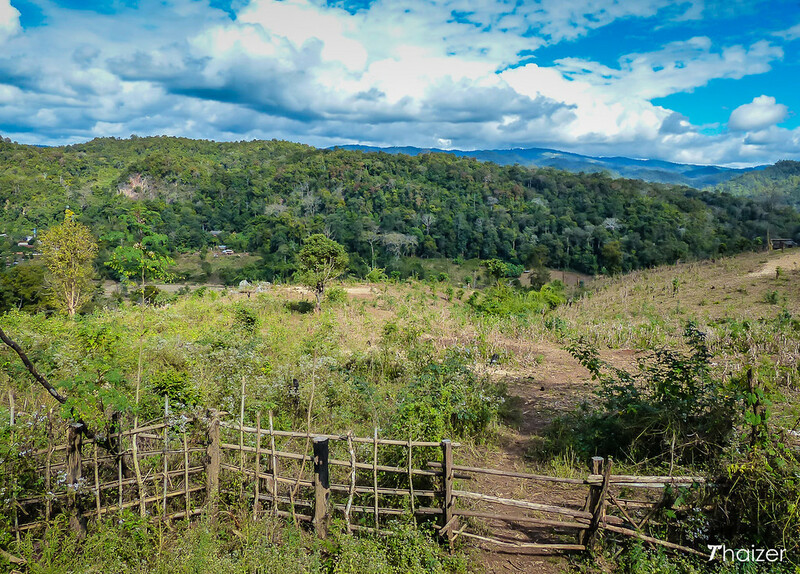 In northern Thailand, CBT is mutually beneficial for hill-tribe communities and tourists. You are welcomed as a guest and able to witness and experience daily life in the village without intruding. The villagers are encouraged to maintain their traditional way of life because they can see that there are people interested in their unique culture. Responsible tourism brings revenue and provides a viable alternative to seeking work in the cities. In doing so, this helps to keep families together and encourages local pride. On a recent trip to Ban Muang Pam I had the pleasure of meeting many members of the local community, but I wanted to introduce you to three people in particular who represent the village and the positive impact of CBT. Three generations that represent the past, present and future for Ban Muang Pam. This is their story. And it’s a story that you can be part of. Nong Tong is 2.5 years old and lives with her family in Ban Muang Pam. In many ways, this young Karen girl is typical of many youngsters her age. Nong Tong likes to play, sing nursery rhymes and help her parents around the house. She’s ‘narak’, funny and a bundle of energy. And spending time with her and her family during my recent homestay visit to Ban Muang Pam taught me so much. Not just about life in the village, but about my life. How fortunate I’ve been. How I’ve taken for granted some of the opportunities I’ve had in my life. Nong Tong, and other hill-tribe children like her, are the future of the hill-tribe communities in northern Thailand. If they reject the traditional way of life of their parents and their grandparents, old customs and local knowledge will eventually be lost. Some young adults in the hill-tribe communities have already left their villages. And who can blame them. With limited chances for employment and a way of life that appears at odds with the modern world, there is so much pressure on the youngsters that live in Thailand’s hill-tribe villages. It’s a pressure that Nong Tong herself will face in years to come, but under the watchful guidance of her parents this confident young lady is already being shown that through Community Based Tourism there is an alternative. On the first night of my homestay visit to Ban Muang Pam I was sat with Nong Tong and her family in the main room of their home. Pork sizzled on an open-hearth and vegetables slowly steamed on the hob as we all got to know each other. Then, an uninvited guest joined the party. Tempted by the wafting aroma of the food, the neighbour’s cat ventured into the room. Nong Tong instantaneously knew what to do. She’d seen her mother and father do the same. Without hesitation Nong Tong tottered over to the metal serving tongs, held them above her head and gestured towards the cat. The uninvited guest was already high-tailing it out of the room almost as soon as Nong Tong stood up. Satisfied the intruder was gone, the toddler placed the tongs back down and carried on with the game she was playing before the errant feline so rudely interrupted her. It was comical to watch. But it was also the perfect example of how children learn by copying their elders. And as I discovered more and more during my stay, this isn’t the only way the young Karen girl imitates her parents and other adults in the village. And that is why Nong Tong, and all of the other children like her in Thai villages, are the future for Community Based Tourism. Nong Tong often accompanies her father, Khun Rangsri, on his walks around Ban Muang Pam. 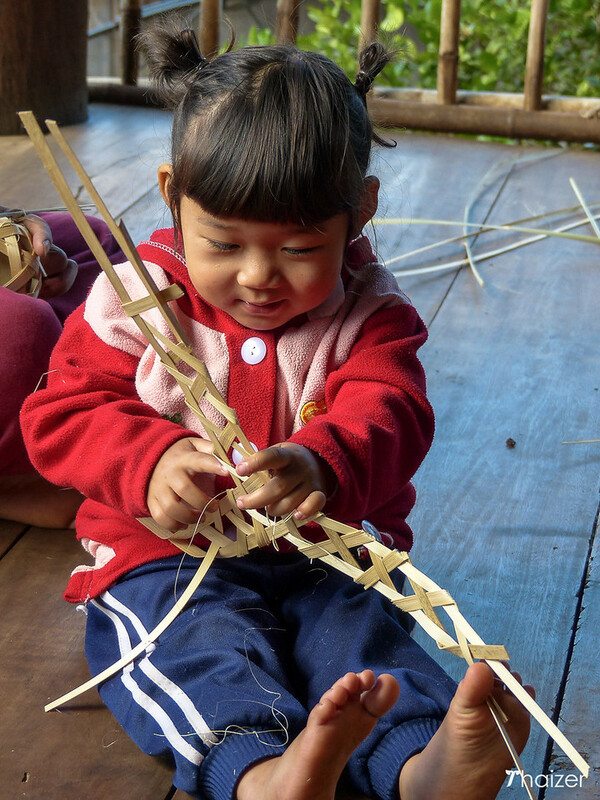 Whether it’s to buy food from the mobile vendors that visit the village or whether it’s to watch her father helping to make bamboo baskets, Nong Tong is observing. Quietly watching and copying. Learning traditional skills that her grandparents handed down to her father and her father is showing her. The little girl watches quietly as the ladies of the village weave cotton on archaic looms and then helps her father as he shapes bamboo baskets. Nong Tong is playing and learning at the same time. Every day an education. Soaking up the local knowledge and wisdom that has been passed down from generation to generation. In Thailand, the use of the word ‘khun’ before somebody’s name is a polite addition. It’s not gender-specific and is similar to adding Mr, Mrs or Miss. For children, the word ‘nong’ replaces khun. There are other polite or informal words that can be used too depending on the context. Khun Rangsri is the father of Nong Tong. As I discovered during my stay with Khun Rangsri and his family, the quiet and amiable Karen man fills many roles. First and foremost, he is a proud husband and father. And depending where he is at any given time during the day, Khun Rangsri is a farmer, hunter, forager, cook, carpenter, weaver or handyman. During my short stay I watched him fulfil all these roles and also observed him in his more official guise as the CBT co-ordinator for Ban Muang Pam. The likeable and unassuming Khun Rangsri is a bridge. A bridge between the older and younger generations. A bridge between the small hill-tribe village and the wider world. A bridge that allows tourists like you and me to cross into this other culture without feeling like we are intruding. A bridge has to be strong and reliable and from my time spent time with Khun Rangsri I’m sure that Ban Muang Pam is in safe hands. 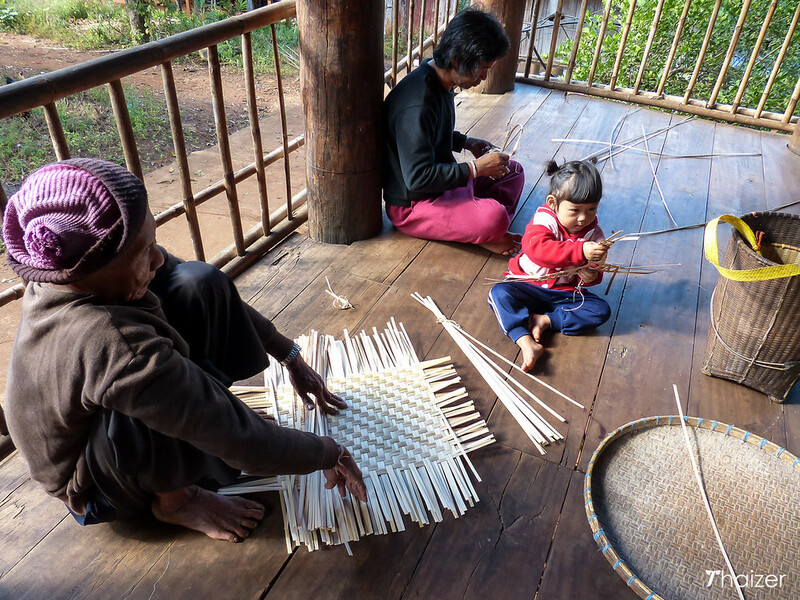 Before I visited Ban Muang Pam village I had no idea how difficult bamboo weaving would be. Sure, I knew it involved a certain amount of skill and dexterity, but I hadn’t thought through the whole process. Meeting Khun Dat and watching him at work was an education. It was also a pleasure. Well into his 80s now, the Karen elder is the most skilled and experienced weaver in the village. 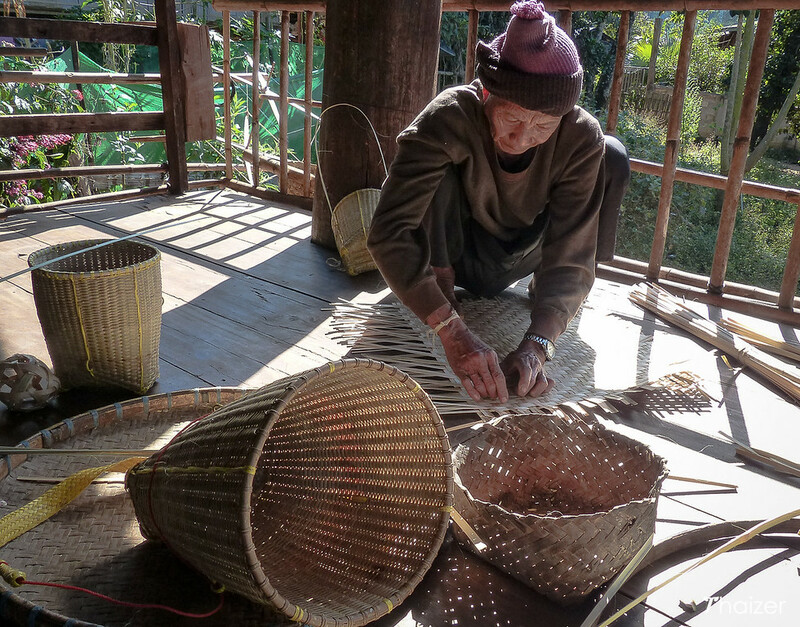 Squatting under the shade of his verandah, Khun Dat makes traditional bamboo baskets. And he makes it look easy. But the actual weaving process is only part of Khun Dat’s day. The weather-beaten complexion of the old man gives a clue to the other part of the process which I hadn’t given too much thought to before my visit. The process of making a basket starts with the knowledge of knowing where the best quality bamboo can be found. Those locations are often miles from the village. Remote locations only accessible on foot. 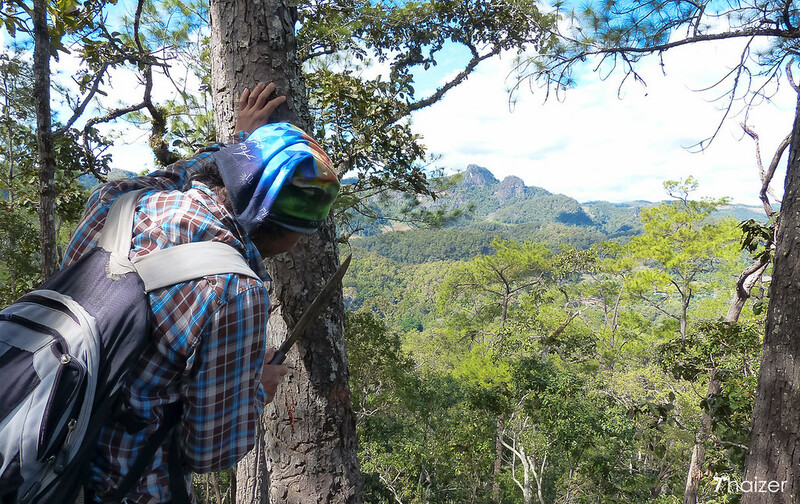 It can take hours walking up and down the Mae Hong Son mountains to find the bamboo, but no maps are needed. No GPS or smartphone technology required. The knowledge has been handed down over the generations. And when the bamboo is located, it’s cut down by hand and placed in a basket to be carried back down to the village where it then needs to be cut meticulously into strips. It’s a lot of work. And as strong as Khun Dat still is, he now needs assistance to collect the bamboo. His weaving skills are still as sharp as ever, though, and others in the village have learnt and are continuing to learn from him. One of the privileges of a visit to Ban Muang Pam, or any Community Based Tourism initiative in Thailand, is meeting people like Khun Dat. The opportunity to see villagers at work and try your hand too at the local handicrafts. 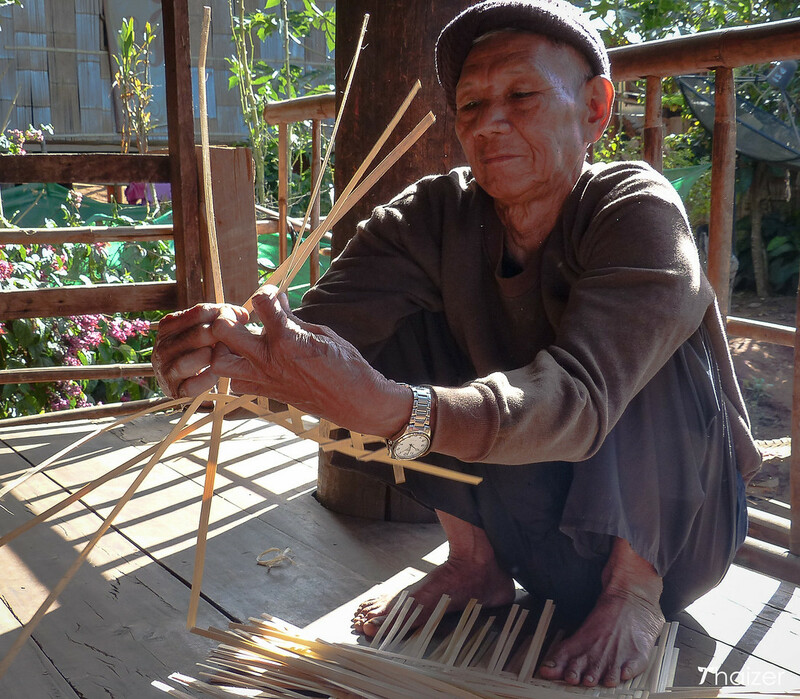 My fumbling attempts at weaving bamboo put the senior citizen’s skills into perspective. Even little Nong Tong was making it look like child’s play. 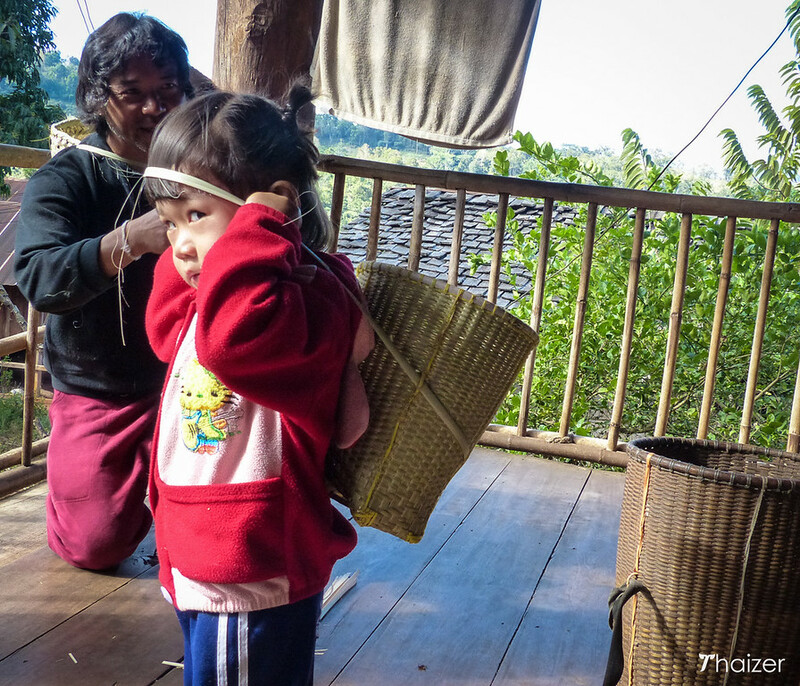 Nong Tong has been watching her father weaving bamboo since she was old enough to walk. As children do, she mimics the actions of the elders around her. And as a visitor it’s a wonderful thing to watch the generations come together and see old traditions being preserved. This is the power of Community Based Tourism in action. The other person who is crucial to Community Based Tourism is you. Visitors interested in traditional and local culture are helping to preserve these communities. This form of responsible tourism has had a positive impact on the village and it is likely to have a positive impact on you too. My trip to Ban Muang Pam was memorable for all the right reasons. And it was the people I met who made it such a pleasure. Arrive with an empty cup. 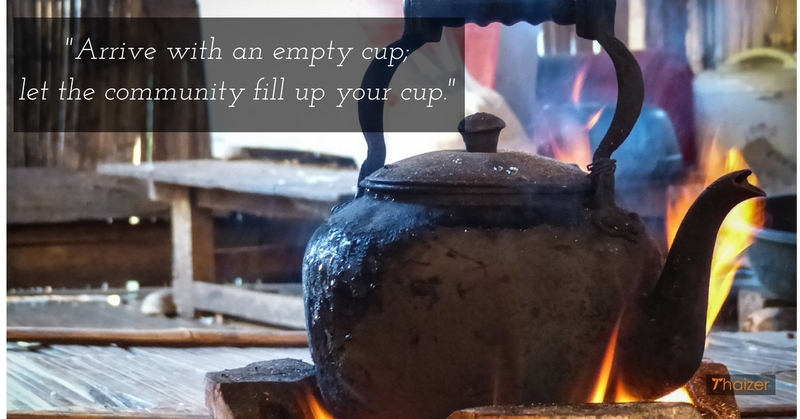 Let the community fill up your cup. My cup was full to the brim. I was a guest of the Tourism Authority of Thailand (UK & Ireland) to write a feature article for their website. They covered the cost of my stay at Ban Muang Pam. I covered my own travel costs to and from Mae Hong Son. I was under no obligation to write anything on this site, but it was such a genuinely fantastic experience that I wanted to share it here too.